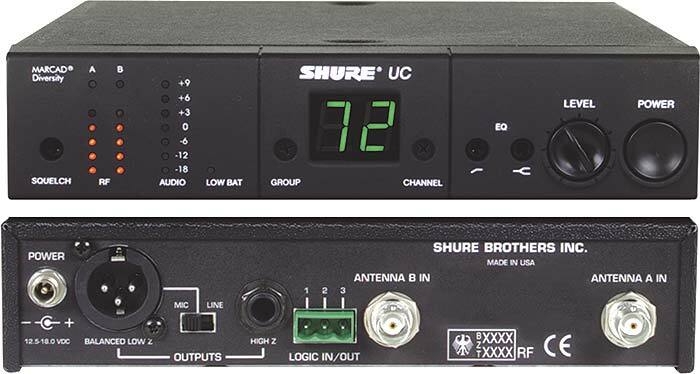 The UC4 receiver features a compact, 1/2 rack design, in addition to Shure's exclusive MARCAD® Diversity technology. All content is © Copyright MediaCollege.com except where stated otherwise. Usage is subject to Terms & Conditions.